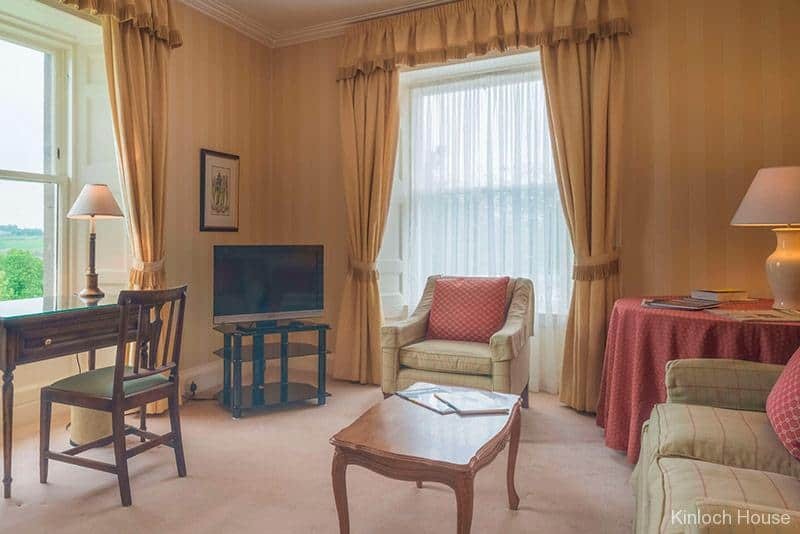 The Suite beautifully decorated and furnished and comprises a large King/Twin bedded room with separate lounge/sitting room and spacious bathroom. It commands breath-taking views over the garden, field with horses and Highland cattle, farmland, Loch Marlee and distant Sidlaw Hills. The spacious bedroom, 29m², has a lovely bay window and is furnished with antique dressing table, chest of drawers, comfortable seating, tasteful prints and Sony flat screen television. Next door the lounge, 19m², has windows on two sides and is furnished with a writing table, Sony flat screen television, comfortable arm chairs and a sofa which can be used as a sofa bed if required. There is also a walk-in closet which offers ample hanging space and shelving. 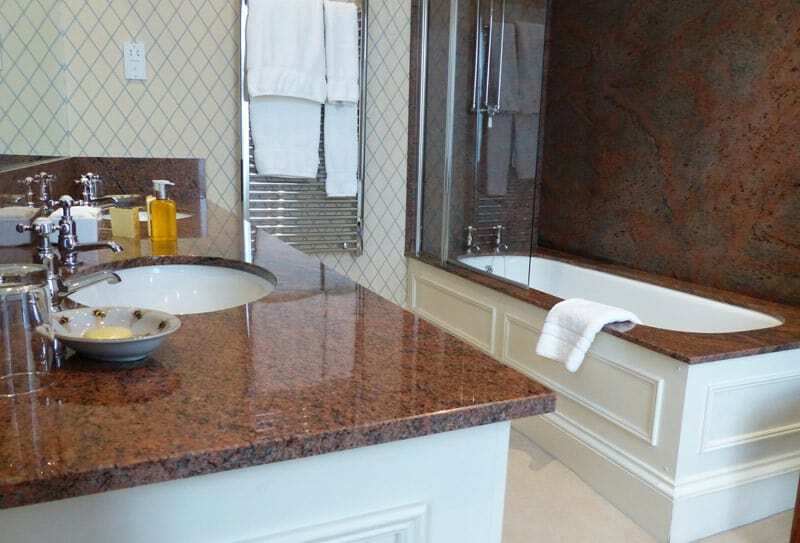 The bathroom has a shower and double wash hand basin finished in Italian marble and have heated towel rail, full size bath, towelling bathrobes, soft fluffy towels and luxury Arran Aromatic toiletries.